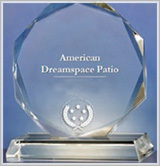 Welcome to American Dreamspace sunrooms. If you are looking to add extra living space to your home and want to extend your outdoor summer living, you may want to consider an American Dreamspace Sunroom. Eliminate the headaches of looking for the right company to create a sunroom specifically designed to meet your needs and budget. 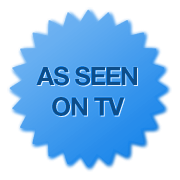 By learning about the features, benefits, and services we have to offer, you will discover why so many of your neighbors have been enjoying the outdoors without the hassle of wind, rain or annoying insects all season long. 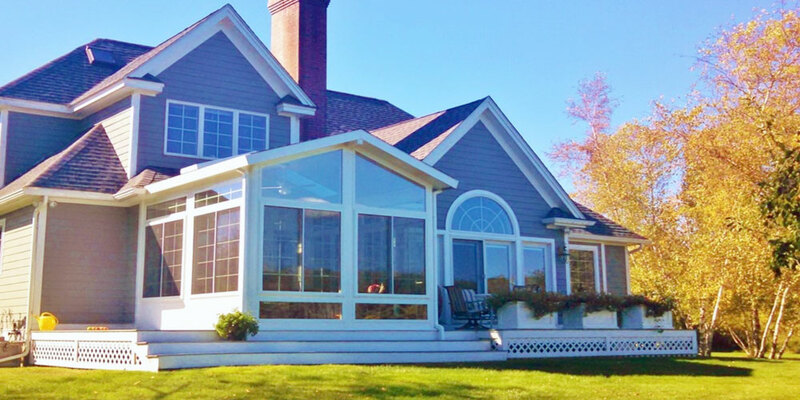 Why choose an American Dreamspace Sunroom? 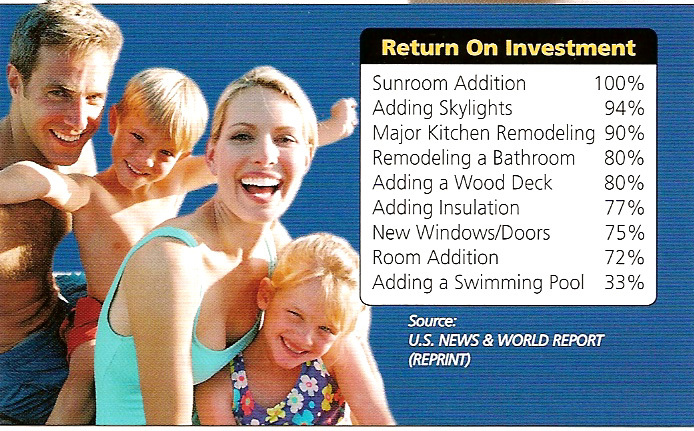 American Dreamspace Sunrooms are one of the most popular home improvement items on the market today A US News and World report article found that a sunroom brings the largest return on investment compared to other home improvement projects. These rooms can be built atop most decks or on a concrete foundation. 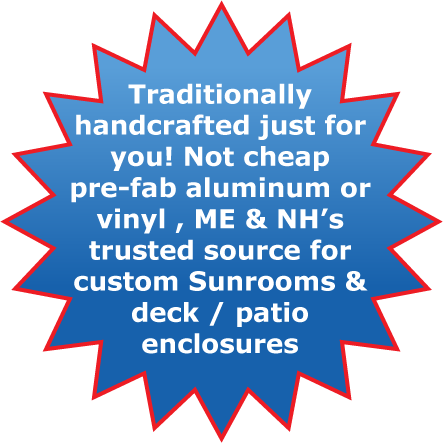 Our Dreamroom 6400 SeriesВ® sunroom is clad in textured cellular PVC vinyl millwork trim both inside and out which looks & feels like real wood and never needs painting but it & can be painted to match your homeвЂ™s interior & exterior trim! These units are virtually maintenance free. 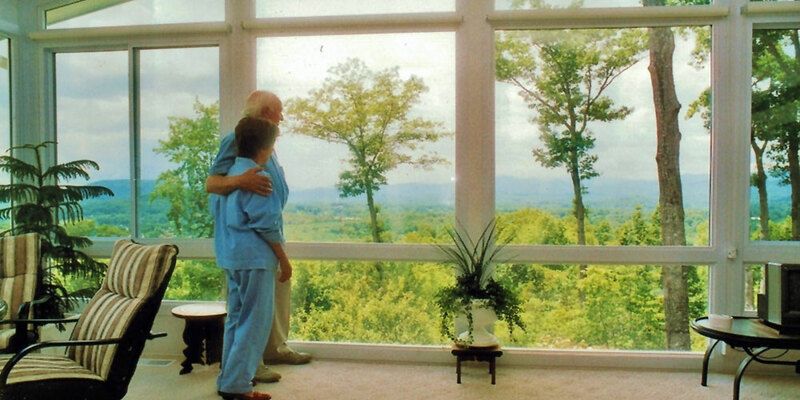 All walls are Energy Star Rated windows with double or triple paned glass and our Four Season Dreamspace incorporates a thermal barrier throughout the framework for superior insulating value. Full screens, handles and door key lock are included. The roof utilizes Structural Insulated roof panels which can exceed R-40 and come standard with an (OSB) sandwich which allows the roof to be shingled to match your home and allows you to choose the ceiling material of your choice. 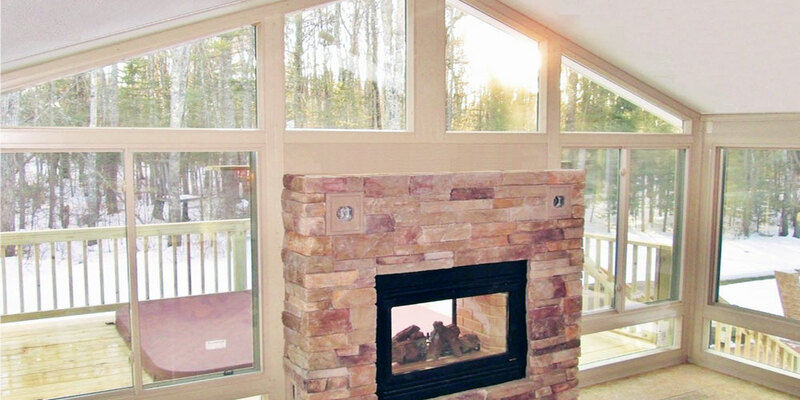 Our sunrooms can be built in as little as 5 days and exceed all building code standards for snow and wind loads. Our sunrooms can be built at a fraction of the cost of conventional wood construction and allow for unrestricted views, bringing the outdoors in without the bother of inclement weather or insects. Already have a covered patio or porch with a roof? Let us show you how our Dreamspace Patio Enclosure wall system can be custom manufactured to fit your specific needs with windows, doors and full screens for your year round total comfort and lifelong enjoyment.